Thirty years ago on Friday, 270 people were killed when a passenger plane exploded over the Scottish town of Lockerbie. The tragic anniversary will be remembered at services in Scotland and the US, where the flight was travelling to. Here, we look back at the the disaster and why the story may not yet be finished. What was the Lockerbie bombing? Pan Am Flight 103 was travelling from London to New York four days before Christmas 1988. A bomb exploded on board the plane as it flew over Lockerbie, killing all 259 people on board. Eleven residents of the Dumfries and Galloway town also died when the wreckage of the plane crashed down on their homes. 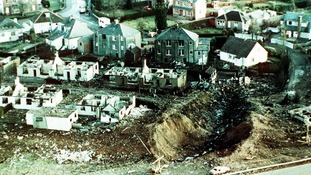 Police in Scotland and the American FBI carried out a three-year investigation into the crash. 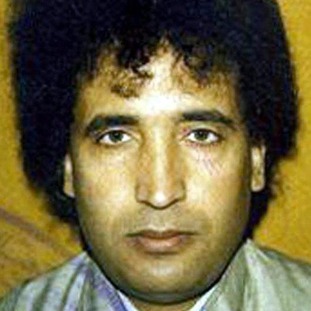 In November 1991, Libyan intelligence offices Abdel Basset Ali Al-Megrahi and Al Amin Khalifa Fhimah were accused of masterminding the bombing. The United States called for the men to be handed over, but it was not until 1999 that the Libyan leader, Colonel Muammar Gaddafi, complied with the request following international pressure. In 2000 the two men went on trial at a special Scottish court sitting at Camp Zeist in the Netherlands. Al-Megrahi was found guilty in 2001 of mass murder and jailed for life with a minimum term of 27 years. Fhimah was acquitted. To this day, Al-Megrahi remains the only person convicted over the bombing - a fact we'll return to later. Al-Megrahi lost an initial appeal against his conviction in 2002, but in 2007 the Scottish Criminal Cases Review Commission (SCCRC) recommended that he be granted a second appeal. This came after a £1.1 million investigation by the SCCRC led to a finding of six grounds where it believed a miscarriage of justice may have occurred. The court process was ongoing when Al-Megrahi was diagnosed with terminal prostate cancer. In May 2009, the Libyan government submitted an application to the Scottish Government for his transfer under the prisoner transfer agreement (PTA), which was struck between Colonel Gaddafi and Tony Blair in 2004, followed by an application for release on compassionate grounds. Then Scottish justice secretary Kenny MacAskill announced in August 2009 that Al-Megrahi would be released from Greenock jail and returned to Libya on compassionate grounds. While Scottish ministers have always insisted the move was made in good faith, the decision drew international condemnation, with US families, the then President Barack Obama and then secretary of state Hillary Clinton among those to be critical of it. American fury was compounded by the hero's welcome Al-Megrahi received in Tripoli upon his return. In 2012, he died aged 60, still protesting his innocence. So that's the end of the story, right? Thirty years on from the bombing, the case could still return to court. There have long been claims that Al-Megrahi could not have worked alone and, in 2015, Scottish prosecutors identified two Libyans as suspects in the investigation. To this day, some bereaved families believe Al-Megrahi's conviction was one of Britain's worst miscarriages of justice. A comprehensive review of the case is now being carried out by the SCCRC to determine whether or not a fresh appeal against the conviction should proceed. The review comes after Al-Megrahi's family pushed forward a bid for a posthumous appeal, handing files to the SCCRC in 2017. The review prompted the ex-MSP who freed Al-Megrahi, Mr MacAskill, to warn that the case against him could still collapse. He said the evidence of the late Maltese shopkeeper Tony Gauci, which was critical in the case against Al-Megrahi, was one of the issues expected to be looked at. Meanwhile, a long-running petition from the Justice for Megrahi campaign group, calling for an independent inquiry into his conviction, remains open at the Scottish Parliament, with MSPs on Holyrood's Justice Committee keeping an eye on developments with the application before the SCCRC. How will the 30th anniversary be marked? Those who died in the bombing will be remembered at services in Scotland and the US on December 21. Wreaths will be laid at a memorial garden in Lockerbie, where a low-key service will see victims' relatives join members of the community who assisted in the aftermath of the atrocity. Canon Patrick Keegans, parish priest in Lockerbie at the time of the disaster, will speak at a Mass led by Bishop William Nolan at the town's Holy Trinity Roman Catholic Church on Friday evening. A memorial will also be held at the university and at Arlington National Cemetery in Virginia, where a cairn made from Lockerbie stone stands in memory of those who died. A service will also be held at FBI headquarters in Washington DC.